In a world first the BBC has released its premier virtual reality documentary drama, We Wait, on the Oculus store. 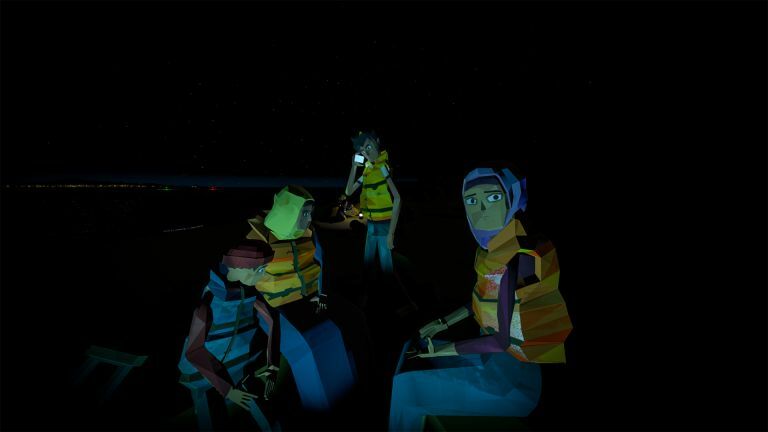 The VR film will place the viewer among a group of migrants as they make the dangerous journey from Turkey to Greece aboard smuggler boats. It is a drama based on BBC News real-world accounts from migrants which places the viewer into the emotional experience as a new way of reporting. We Wait was made by a team-up between BBC Connected Studio and Aardman Digital as a way of bringing the reality of these arduous experiences to life. This is the first Oculus VR film but it joins other VR projects from the BBC this year including Plant Earth II, Rio Olympics, Fire Rescue and more. Zillah Watson, executive producer, BBC R&D, said: “This film going live on the Oculus store for the Rift opens the film up to a wider audience, and caps off a big year for VR at the BBC, as we continue to explore the potential this emerging medium has to inform, educate and entertain. We Wait available now, free to watch via the Oculus store or check it out at BBC Taster. There's also a trailer. That means it can be viewed on compatible VR devices like the Oculus Rift headset of the Samsung Gear VR.